The latest addition to Parsley in Time’s cookware portfolio is the Inox Pro range – robust, efficient, functional and good looking cookware designed for use in busy commercial kitchens. Manufactured by Pujadas, one of Spain’s top manufacturers of professional cookware, the Inox Pro range will appeal to chefs looking for quality features, including being induction ready. Parsley in Time’s Inox Pro range includes stainless steel saucepans, sauté pans, sauce pots, casseroles and stock pots, all manufactured using 18/10 stainless steel. Induction ready, with a sandwich bottom constructed of stainless steel – aluminium – stainless steel, the cookware is flexible as it can also be used for gas, vitro and electric cooking. All aspects of the range are designed with busy commercial kitchens in mind, from strong stainless steel wire handles that have a capacity of up to 500kg, to radiuses specially designed for easy and fast cleaning, to tight-fitting lids designed to save energy. 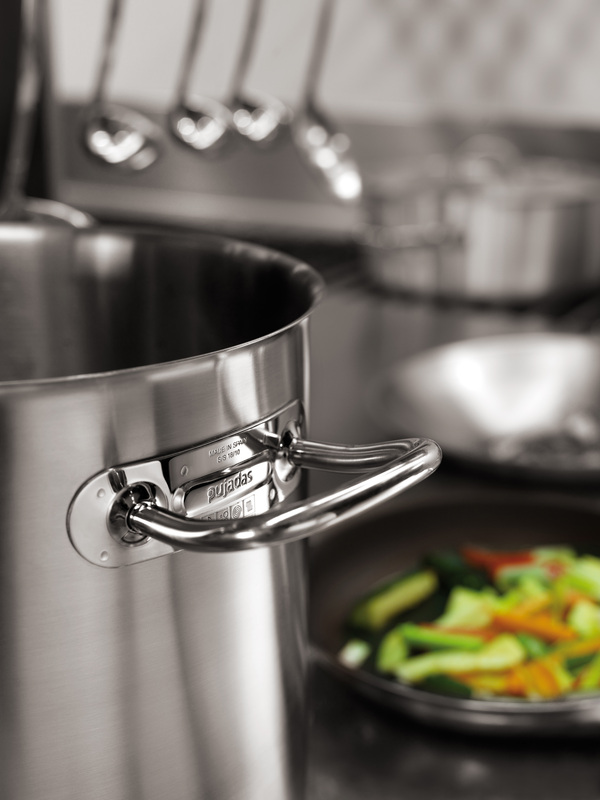 The Inox Pro cookware has the sleek aesthetics needed for use front-of-house. Each piece is hand-crafted and checked thoroughly for quality control, with uniform satin polish on the inside and outside of all products. The Inox Pro range is available from Parsley in Time for a starting list price of £20.70 plus VAT for the Inox Pro French Style 12cm Saucepan.